has everything you need to make your gathering memorable. Leaside Manor. This is the place to be. Nestled in the heart of St. John’s, Leaside Manor offers you all the style and character that befits a grand heritage estate. We also offer unique spaces to hold your next corporate and private event. Whether it's an office Christmas party, a private reception or a public function. We are experts in making your special event a unique and memorable experience. Menus for weddings, receptions, cocktail parties, and other special events are prepared in consultation between management and respective clients. Please advise us in advance of any dietary restrictions. A selection of wines and beverages are available upon request. Our base rental rate for corporate and private events is $499.00 + HST. 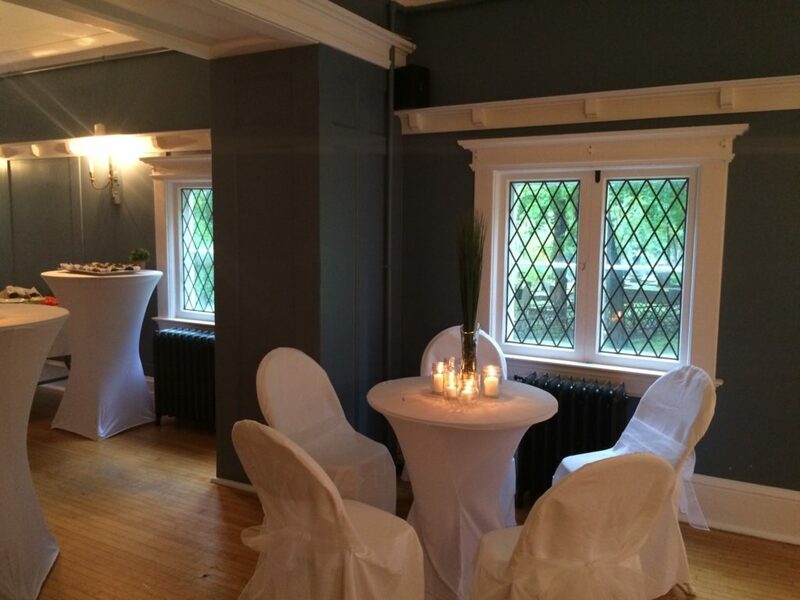 The base fee includes standard accessories including tables, chairs and white table linens. To make your event special, we offer event customization services at an additional charge. Talk to us. We are experts at making events so very special.